Friday, 5 April: Translation and Interpretation Lecture by Dr. Henry Rosemont, JR. 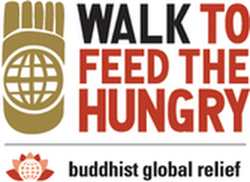 Date and Time: April 05, 2013, 7:30 p.m.
Buddhist Global Relief has announced its 2012 “Walk to Feed the Hungry” fundraising events. BGR is an interdenominational organization comprising various Buddhist groups. With an overarching vision to alleviate and ultimately banish poverty, BGR is involved in projects that build capacity and provide food aid to countries like Vietnam, Cambodia, Sri Lanka, Haiti, India, Kenya, Niger, and the United States. Here are some notes and pictures from the event last year. Rev. Heng Sure gave a talk at the interfaith event Enlightenment & Ethical Conduct hosted by . Topic of the event is: How do we become enlightened and find our way in the realm of moral action? See event page for detail.